Business chiefs and politicians from across Kent have been queuing up to offer their thoughts on today’s Lower Thames Crossing announcement. Transport secretary Chris Grayling this morning said Option C – east of Gravesend – was the government’s preferred route for the crossing. The planned route will run from the M25 near North Ockendon, cross the A13 at Orsett before crossing under the Thames east of Tilbury and Gravesend. Here, we list all the reaction we have received so far to the controversial announcement. 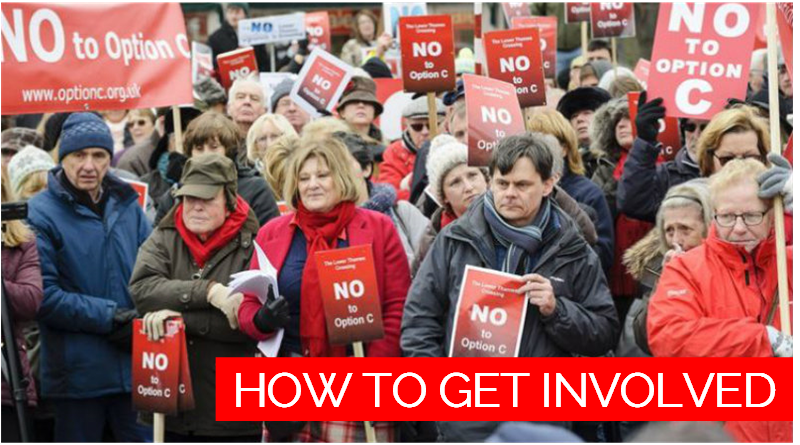 “This is possibly the most significant decision affecting Dartford in a generation. “Highways England have hoodwinked the government with their biased consultation, if you looked through the consultation questionnaire there wasn’t a single mention of Option A. “This is excellent news for Kent and Essex and will have a significant economic impact. “The Lower Thames Crossing is an essential ingredient of the strategic infrastructure mix required to deliver national economic prosperity. “It’s concerning for the people of Gravesend and the people of Dartford because I’m quite convinced putting it here will not improve anything for the next 10 years. “Not only will this alleviate congestion on the Dartford Crossing, but it will create easy access into Medway from the M25 via the M2 and A2. “This will be a major catalyst to drive further economic development in the area, attracting more business, raising aspirations and putting Medway on the map as a place with great transport connections, in addition to the existing high speed rail service into central London. “We couldn’t have asked for a better outcome. “What must happen now is for government to give reassurance to those affected by the new road and so we will continue to insist that a generous compensation package is provided for property owners affected. “Thanks to all those who have campaigned the chosen route is less destructive to ancient woodland than we feared. “Nonetheless the preferred route still singularly fails to meet Highways England’s Biodiversity Action Plan which commits to ‘no net loss of biodiversity’ from its projects. “Decisions like the one today remind us why we must continue to fight for better protection for ancient woodland, which is irreplaceable. “The fact that the preferred crossing option leads onto an already regularly congested section of the A2 – without significant plans to upgrade it – will lead to greater congestion on what is a vital artery for the south east and national economy. “We cannot be left with a situation where the problems currently affecting the A2 are pushed further into the already pressured towns and villages of Medway and Gravesham. “There is also no consideration of the proposed increase of housing across north Kent, with 30,000 homes planned for Medway alone, with most targeted around the Peninsula.